Summer squash is a versatile vegetable that can be grown just about anywhere, though it must be grown and harvested during a frost-free time of year. However, with most varieties of summers squash, the ideal time to harvest and eat them is May through July, according to Whole Foods. Unlike some of their squash cousins, summer squash have a softer rind. The soft, white interior can be enjoyed in a variety of recipes, just about any that call for squash or zucchini. Summer squash can also be grilled, steamed, sauteed, or placed in a salad, according to the University of Illinois Cooperative Extension office. The open pollinated zucchini form of summer squash (meaning pollination occurs by way of birds, insects, wind and other natural means, as opposed to closed or controlled pollination) include the most common variety: the black zucchini. It's known for its blackish-green rind and soft, white interior. Others include cocozelle, a long and thin vegetable with a dark green and lighter green stripes. 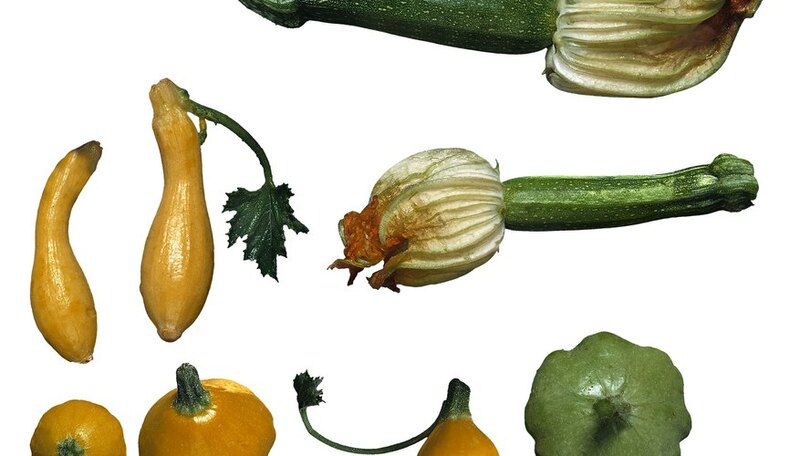 Summer squash varieties can be cross-pollinated with other varieties, as well as with winter squash types, including acorn squash and even jack-o-lantern style pumpkins. Some popular hybrids include the Aristocrat, an All America Selection, and the Chefini, also an All America pick. Both are more medium-green in color. On the inside, the creamy flesh is a little sweeter than in other summer squash varieties. On the outside the pattypan is more saucer-shaped with scalloped edges. It's often white, but can be light green or yellow in color. These two are very similar, except, as the names suggest, in their shape. The crookneck has a more swan-like neck, while the straightneck was genetically altered to have a straighter neck. They're usually yellow, though they can be light green, but they have that familiar soft and creamy flesh.